“Westfield is deeply saddened by the events of last evening," a mall spokeswoman said. 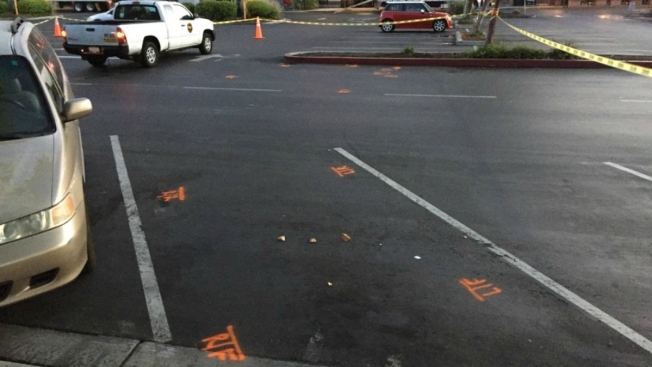 A 6-year-old boy was struck and killed by a Mercedes driver in the parking lot of Westfield Oakridge shopping center in San Jose on Thursday evening, while he was walking with his mother and sister, police said. He was identified Friday by the Santa Clara County Medical Examiner's Office as Aniket Gadre of San Jose. “Westfield is deeply saddened by the events of last evening, our thoughts and prayers are with the family," mall spokeswoman Stephanie Ringer said in a statement. Sgt. Enrique Garcia said the boy's mother was holding his hand about 9:30 p.m. at the mall at 925 Blossom Hill Road, when a grey 2015 Mercedes struck him and his mom at a low speed. He was taken to the hospital, Garcia said, where he was pronounced dead. The driver stayed on scene and cooperated. Garcia said neither drugs nor alcohol are suspected at this time. The Westfield Oakridge mall was busy Friday, with people kicking off the July 4 holiday weekend. Drivers, circling around the parking lot in search of a spot, said the tragic news was a cautionary tale and a reminder to slow down. "It's a dangerous place at five miles an hour," Martha Thibeault said. Others at the shopping center said they were thinking of and praying for Aniket's family. "It breaks my heart," San Jose parent Janet Butlet said. "I have a baby in the back. I can’t imagine someone hitting him." Fellow San Jose mother Lakshmi Kamala, who said she is usually "very careful," on Friday kept a closer eye on her daughter than normal. "It's a really scary thing," Kamala said. "It should not happen to anyone." Shoppers also watched out for themselves and others in the busy parking lot. "Some people, they just don't want to stop," Gary Duarte, of San Jose, said. "They just want to keep going and mad dash." Officer Albert Morales said that investigators plan to review surveillance cameras in the area, and asked anyone who may have seen the accident to contact the San Jose Police Department. Aniket's death marks the city's 20th fatal collision and 21st victim of 2016.